Virtual reality at its best! 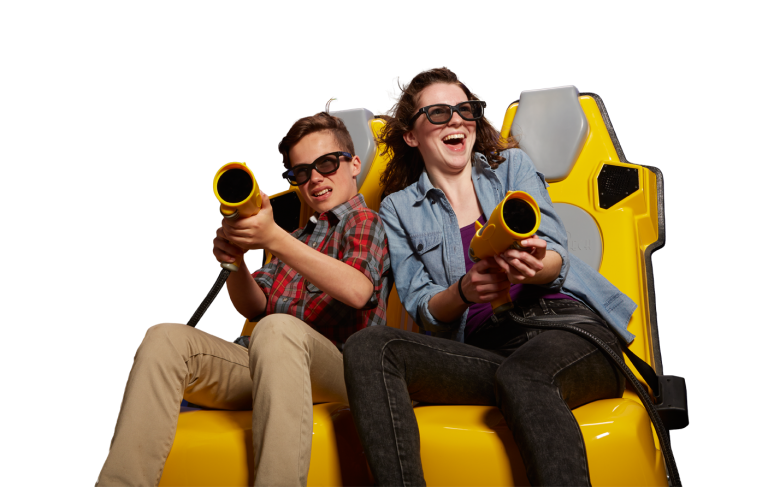 The Internationally award winning XD DARK RIDE immerses you behind a massive curved silver screen. 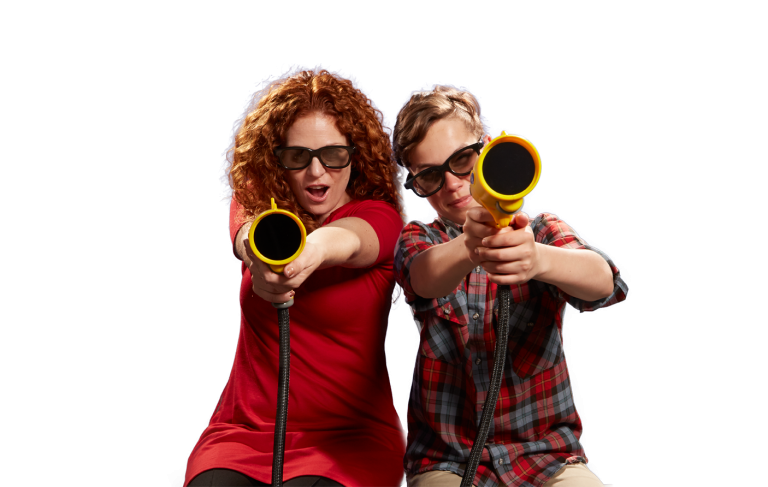 A world first to blend a competitive interactive and reactive game into a dynamic motion ride. Grab the worlds fastest targeting lasers and defend yourself in a haunted house infested with zombies, menacing aliens in a subway or robot cowboy outlaws in the Wild West. GAME ON! Fantastic fun for almost everyone. 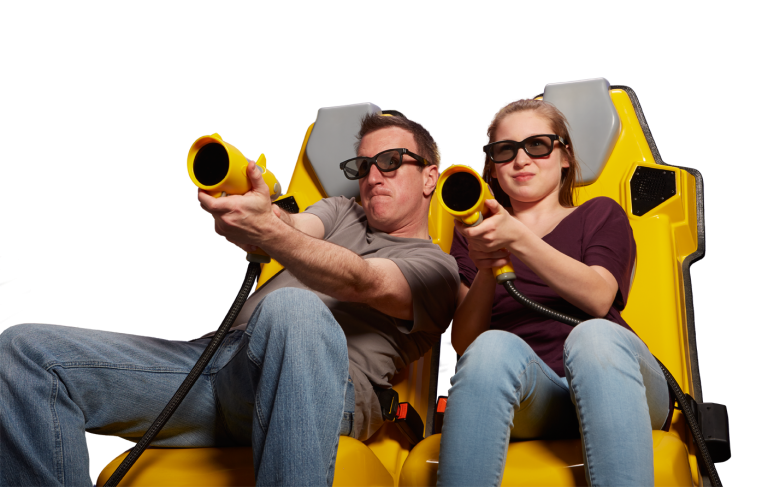 The 7D DARKRIDE offers a range of themes to suit fun lovers aged 5 to 75. CHECK OUT THE THRILL METER – YOU CHOOSE! How long are the rides? There are a range of popular Combos and most customers enjoy 3 or 4 rides which you should allow 20 to 30 minutes to complete.This attraction is very busy during school holiday periods or on rainy or windy days. There can be a 10 to 20 minute wait during these times. Avoid the crowds and come in on those sunny day evenings!